Considering A Move To The Denver Metro Area? Considering a Move to the Denver Metro Area? Be sure to take advantage of our Relocation Program. It's exactly what you need and deserve. Welcome to the Bustin Home Team website. Bob and Cheryl are the co-founders of the Bustin Home Team at RE/MAX Alliance. As 31 year residents of Colorado and 14 year real estate professionals, they are ready and able to meet any and all of your relocation needs. Their specialty is helping out of state home buyers relocate to the Douglas County towns of Parker, Franktown, Castle Rock, Larkspur, Lone Tree, Highlands Ranch and other nearby towns. Contact them so that they can get to work right away. Check out their Relocation Program. View their Video Testimonial. A short message from Co-founder, Cheryl Bustin. 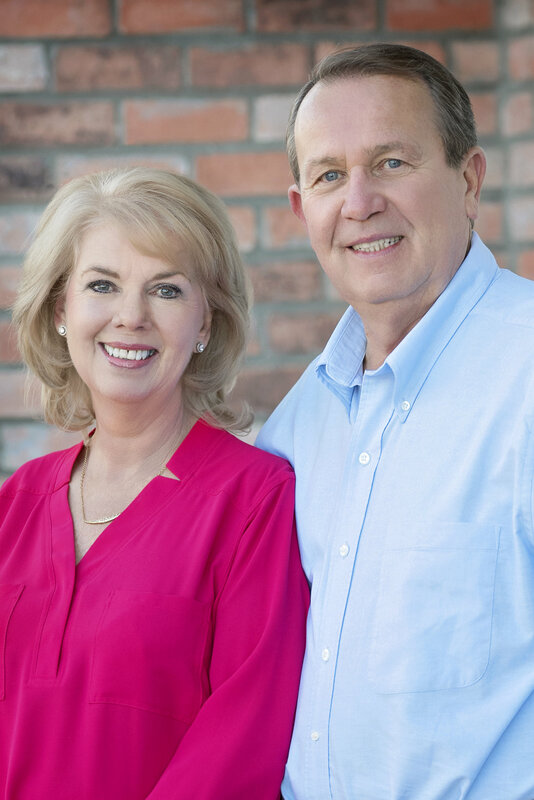 Cheryl and Bob have been selling homes in Parker and surrounding towns since 2004. They specialize in helping out of state home buyers relocate to Parker and the surrounding communities of Franktown, Castle Rock, Larkspur, Highlands Ranch, Lone Tree, Centennial, Aurora and Elizabeth. Most real estate agents do not specialize in any areas. They try to carve out such a large territory (i.e. Denver Metro) that they might not even know how to drive you to your desired area without the help of their GPS. They certainly are not intimately familiar with such things as schools, shopping, traffic patterns, parks, recreation facilities and on and on. The Bustin's have the credentials that you expect of agents who will be guiding you in your home buying decisions. Before you pick your real estate professional, you should check them out thoroughly. Check out their reviews, especially those on Google. Google reviews are far and away the most reliable and the hardest to get. Most agents will not have any. And, of course, read or watch the reviews that they might have on their website. Bob and Cheryl have worked hard to receive the many reviews that they have received. They have a great reputation, specifically with out of state home buyers relocating to Colorado. From the beginning, they will try to find out as much as possible about you. Both your real estate needs and your personal needs. Bob and Cheryl are genuinely interested in you, not just your business. They want to know who you are, your personality, your situation. Are you active? Retiring? A family? Single? Where you'll be commuting to for your job. Your education needs for your children. That sort of stuff. It really makes a difference in ultimately finding you the right home, in the right neighborhood and at the right price. You will be set up on your own personal property search and organizer and be sent their Neighborhood Videos. Once the Bustin's know exactly what you're looking for, they will set you up on a Client Portal through REColorado. This is the same search engine that all Denver area real estate agents use. Unlike the Zillow's of the world, this home search is absolutely accurate, current and loaded with all of the property details. A serious buyer cannot be successful without this tool. And, they will also send you videos of many of the area's most popular neighborhoods. They have actually had out of state clients pick their neighborhood, just from watching all of the videos...before they make their first trip. Here is one example of the 24 Neighborhood Videos that will be sent to you. Cheryl and Bob live in Parker. They work and play in the surrounding communities of Castle Rock, Highlands Ranch, Centennial and Aurora. They are physically willing and able to preview homes that you have an interest in. You're not here, yet. Or, you've make your first home buying trip and have returned home. They will preview these homes for you, taking additional photos and video for you. For those of you with an iPhone, Facetime is a great way to preview homes. The Bustin's will help you find a hotel, rent a car, arrange for childcare, recommend restaurants and anything else that you might need. Give them your "home buying" trip needs and they will help you put it all together. Bob and Cheryl try to be "turn key' for you. Let them pick you up at the airport or your hotel. Once you've arrived and are ready to "get to work", you will join Bob and Cheryl in their van or SUV. If you're bringing your kids or others, they will use their van, which seats up to 7 adults, comfortably. They do not do the "caravan" thing. Spending your day in the same vehicle as the agents is critical. It allows you to have valuable conversations, personal and business. They will be able to provide ongoing commentary as you drive area and go from one house to the next. Can't do that if you're in a car behind them. You'll spend at least a half day getting oriented to the communities that you are interested in. By focusing on neighborhoods first, you will be able to get a feel for the various communities. You will then be able to focus on homes in your preferred subdivisions. This is probably the most valuable (and time saving) time you will spend during your house hunt. Very few agents do this. Bob and Cheryl require it. it will also allow you to know what your commute might look like, where you can shop, nearby parks, medical facilities, schools, etc.. It's crucial that you have this overview of the entire area before you start looking at a specific house. Bob and Cheryl will find you the right home, in the right neighborhood and at the right price. By following their proven system of working with out of state home buyers, you will ultimately have success. The Bustin's believe that there are "no shortcuts" in real estate. They are committed to providing you with the absolute best relocation experience that you've ever experienced.